Finally, ONE YEAR is officially completed. I feel so proud today. Writing blog for one year is not easy; it needs lot of effort and commitment. Though I did not celebrate today with cakes and balloons, I did feel good about the milestone. I am in car, going back home from Pune, and it definitely is very difficult to type. Well, right now I am seriously out of mood to write anything. Today was my grandmother's first death anniversary. In Hindu religion, we have to perform certain rituals to help the dead person's spirit rest in peace. For this, my dad flew from China, and we had gathered in Pune. I have reached home just now and though my parents and brother are talking way too lot, I am writing between the chaos. Well, maybe the first year of TPCG was like this--chaotic. It was about managing time, and struggling to concentrate on right words and right time to write paragraphs. How perfectly this day has marked the end of the first crucial year, and the beginning of a confident, successful life ahead. I'm sure that TPCG holds a bright future. Though maybe after a lapse of time, I won't be able to write daily (perhaps due to office or household chores if I get married). But I know I won't let it die; I will write it at least once a week, but I will write it. An important thing about the future would be getting rid of the website issue that happened few weeks ago. After that, or maybe before, I will print my first ever pack of business cards. I feel business cards are necessary. I just cannot wait to order them. Maybe, in few years I will get sponsorships as well for the blog and have more readers. I gained 26 followers in the first year; so maybe next year, I hope I get 26+26+26 more. I guess TPCG will have a great impact on my internships and jobs; I think it will. After my percentages in SSC, HSC, and in BMM, TPCG is what makes me confident about myself and the fact that I will get the job I want. The post is not the way I had expected it to be, but anyway, a very happy birthday to TPCG and me! 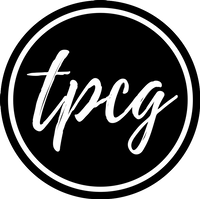 Thanks for your support and love, guys; without you all, TPCG would have been nothing. Thank you once again!